Join us every Tuesday evening, 6:30 – 8:00 pm, at Yoga Samadhi in White Salmon, WA. 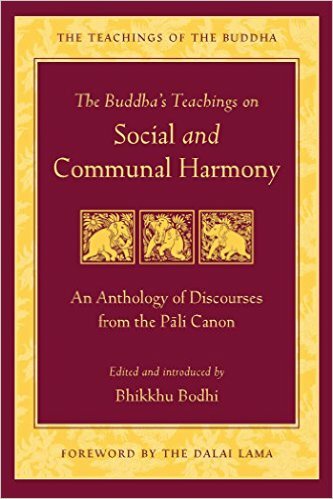 Over the next several weeks, following meditation, Ajahn Sudanto will lead a discussion of the book: The Buddha’s Teachings on Social and Communal Harmony. Everyone is welcome. Cushions and chairs are available. Offering a meal is a lovely way to support the monks, and an opportunity to practice generosity, offer gratitude, ask dhamma questions, see the Hermitage and get to know the monks in a less formal setting. You can find out when meal offerings are needed by checking the Hermitage Calendar. There are plenty of opportunities. On weekdays, their meal comes from food people offer the monks during their alms rounds. It’s important to contact the meal dana coordinator (Debie) to schedule your meal offering. At least let her know you are coming. Otherwise, if it looks like no one is offering the meal, she’ll call on the “rescue squad” (people who may be able to bring a meal on short notice). If she knows you’re coming, this won’t be necessary and will reduce the number of times she needs to call on these volunteers. Check out the Support tab for more information about offering food, or contact Debie with questions. 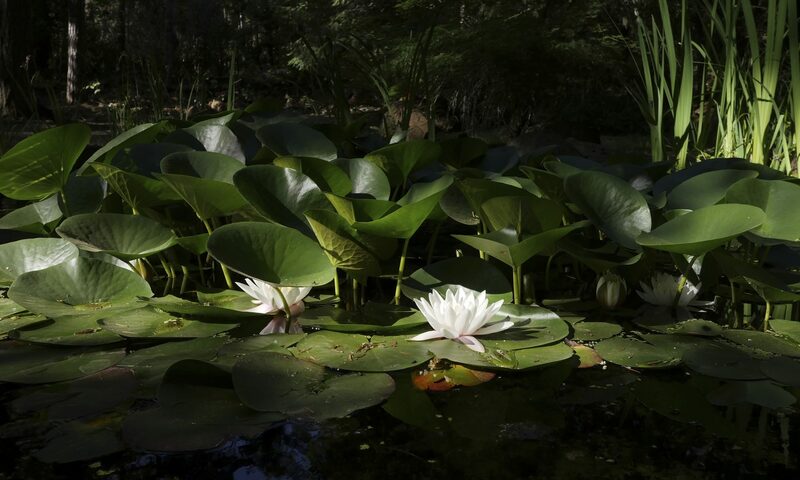 “The Buddha said there are two factors that help most in the arising of discernment, that help you most along the path. The foremost internal factor is appropriate attention. The foremost external factor is admirable friendship.” (From Thanissaro Bhikkhu’s book, Meditations) From time to time, we’ll use this Admirable Friendship section to introduce you to a friend who is part of the Pacific Hermitage community. It’s no surprise that when Scott and his wife Joan recently moved from their Lake Oswego home of 26 years, it was to Bend, Oregon (where those amazing granddaughters live!). If you do have a Dhamma-oriented conversation with Scott, it will quickly reveal a dedicated practitioner who values generosity and ethical behavior. In his words, “People who congregate around and support the monastics, who are dedicated to personal practice, and who embody generosity and ethical behavior — they are different. They’re more grounded, centered, at ease, kind and loving. I find them inspiring.” If you get to know Scott, it’s clear that he not only values those characteristics in others, he embodies and demonstrates them himself. An inspiring and admirable friend himself. Scott initially became active in Portland Friends of the Dhamma (PFoD) in about 2004, and he helped with their efforts to bring a permanent monastic presence to this region. In 2007, he was a steward for Ajahn Sudanto and Ajahn Karunadhammo when they came to the Columbia River Gorge to see if a hermitage might be appropriate here. When Abhayagiri Monastery approved the idea, Scott worked on the PFoD organizing committee to make that happen. When the Hermitage was established, Scott was asked to be president of Sanghata, a lay board of stewards that helps support the Hermitage and manages all its financial matters. Since monastics are not allowed to handle or use money, all monetary donations must be sent to Sanghata. Find out more about Sanghata by visiting sanghata.net.